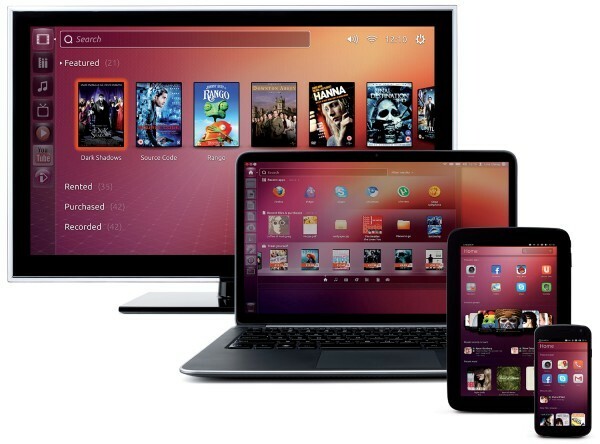 Just over two years ago Canonical, the people behind, the Ubuntu Operating system made an exciting announcement: they were going to be making a foray into the smartphone and tablet market with their own operating system and in doing so take on the formidable giants: Android and iOS. Their ticket was convergence. Their operating system would produce a consistent experience for both users and developers across all devices from the Desktop, Laptop, Netbook, Tablet,Smartphone and other Smart devices. 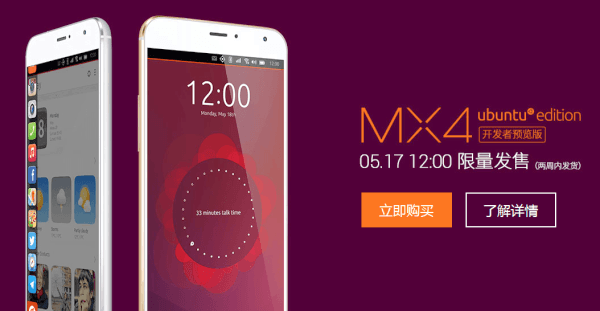 Well, Bq and Meizu, the vendors who partnered with Ubuntu to make the phone have started selling their devices in both China and Europe and, of course, not in Africa or Zimbabwe. This is not a surprise by any means as most vendors either blatantly ignore us or make belated sales well after their product launches. Even then it’s mostly in South Africa which most people from Hip Hop artist to businessman confuse with the entire African continent. It will start selling on an “invite” basis from the 25th of June for €299 ( $335). This makes it a medium priced phone between the crazy Galaxy and iPhone worlds of +$ 1000 and the Chinese device worlds of below $100 prices. The price excludes shipping, non-European buyers can purchase the phone too, but that will mean a landing price of around $450 after shipping costs and duty. The Spanish made Bq Aquaris E5 started selling in Europe early this month for €199 ($223). This is a $100 less than Meizu’s device and this phone is now fully on sale without the “invite” condition. The price excludes shipping and you will have to part with an estimated $320 to get it into your hand. You can buy the E5 here. Many moons ago I posed a question: Will the Ubuntu phone catch on in Zimbabwe? Well back then the Ubuntu Phone was just an idea and now it’s here, of course not here in Zimbabwe, but there in China and somewhere in the shops in Europe. The answer I am afraid to say is no; maybe not yet. But still a no. The big selling idea behind the phone is convergence. Bq has plans to make and sell a super tablet that will turn your T.V into a fully functioning desktop just by plugging it in. While it will no doubt earn you some bragging rights at beer parties and some geek points it’s still just an idea. And how much is it going to cost you with the economy tight as it is? Zimbabweans might not be buying into the app craze but they do love their WhatsApp so that they can stay in the loop and quickly receive photos of Mudhara weshort, Pasuwa and his blanket, wives fighting with small houses and other gossip stories. So obsessed are they with WhatsApp, that vendors in town only need to mention whether a phone is capable of running WhatsApp or not before making a sale. There are phones that are simply being sold as WhatsApp phones. The Ubuntu Phone does not natively run WhatsApp and that is a deal breaker! A $300 phone that does not run WhatsApp is a tough sell! It is a hurdle that Ubuntu has yet to overcome. It’s a chicken and egg thing, they need developers and developers will only come if it’s worthwhile for them to develop for a given platform. One easy work around would be to develop an Android compatibility layer that allows users to run Android apps on the phone. That will no doubt result in a boost in sales. For now the phone remains a hobbyists’ device but then so was the car at one point with the essential difference being that those were the early days and not many car manufacturers were around. It will be tough, nay impossible, to dislodge the two stalwarts: Apple and Android. Canonical need a selling point and saying, “You can go into bash on it and run sudo apt-get ..”. is not enough. Convergence is not enough either, not on its own.But Windows wants convergence too so maybe there is something I am missing here. Or maybe the Ubuntu Phone is still just work in progress and one day everyone will use an Ubuntu Phone. No Whatsapp???! Then no phone. To err is human – to Linux is DEVINE! Kikikikiki! As they say, If the only tool you have is a hammer, you tend to view everything as if it is a nail – HITTING IT ON THE HEAD! Kikikikiki! Mark Shuttleworth did mention that WhatsApp is planned for Ubuntu Touch so it’s just a matter of waiting for the phone be released worldwide (2016) and not just the current limited release that’s aimed at developers and enthusiasts.